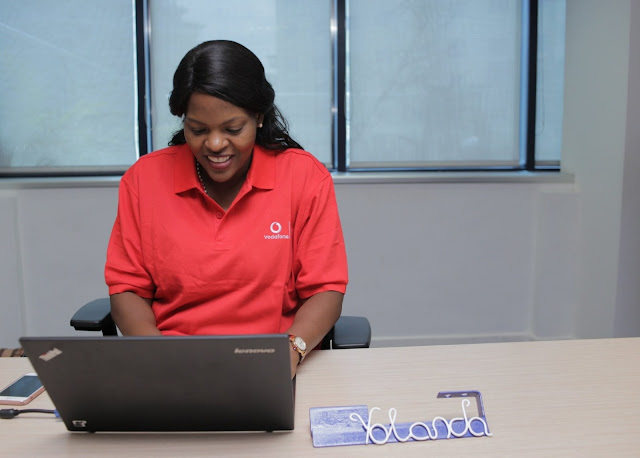 Chief Executive of Vodafone Ghana, Yolanda Cuba, on Wednesday, demonstrated great leadership and commitment when she took to the company’s Twitter handle to respond to queries and questions from its numerous followers. It was a rare opportunity for customers to have an up-close-and-personal interaction with the CEO and the queries came trickling in thick and fast. In a 2-hour session that brought Twitter to a standstill, the engagement under the hashtag - #AskYolanda – became the number 1 trending topic in Ghana between 1pm – 3pm that day. She had her hands full as subscribers and followers piled on a whole range of questions including product challenges, customer service and network quality, her career experiences, 4G spectrum acquisition and the like. The session was not without its humorous aspect as some subscribers wanted freebies for the number of retweets they made as well as requests for lunch dates. Yolanda has been very active in responding to customer queries on Twitter for a while now; however, Wednesday’s engagement was very comprehensive and lasted for two hours. The company believes that the engagement will help drive and enhance customer experience on the network.